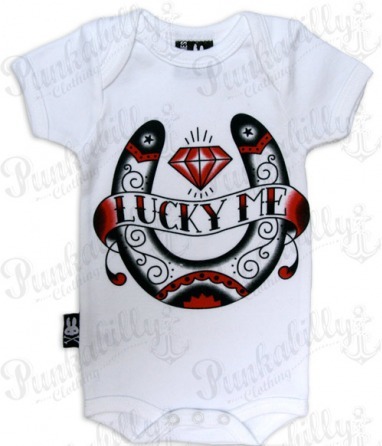 BABY / "LUCKY ME" Rockabilly Onesie. 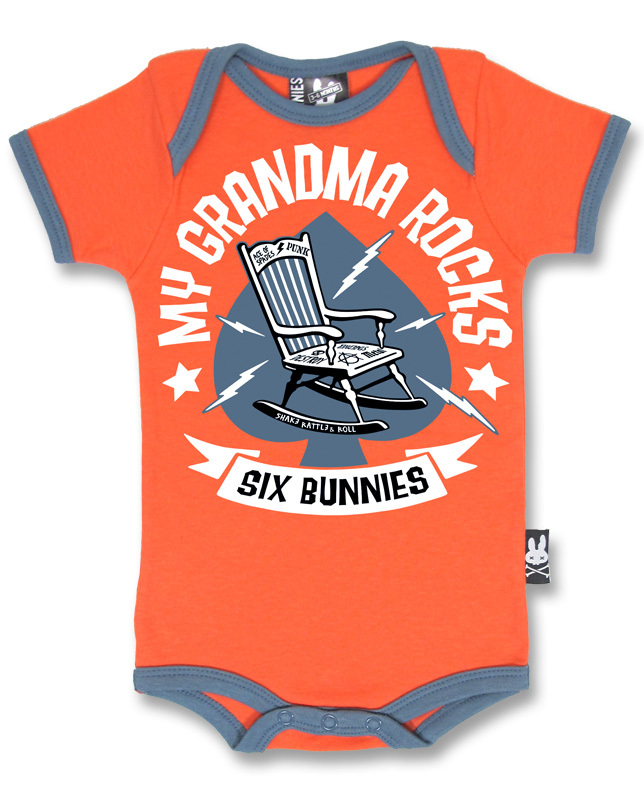 Home :: BABY :: "LUCKY ME" Rockabilly Onesie. 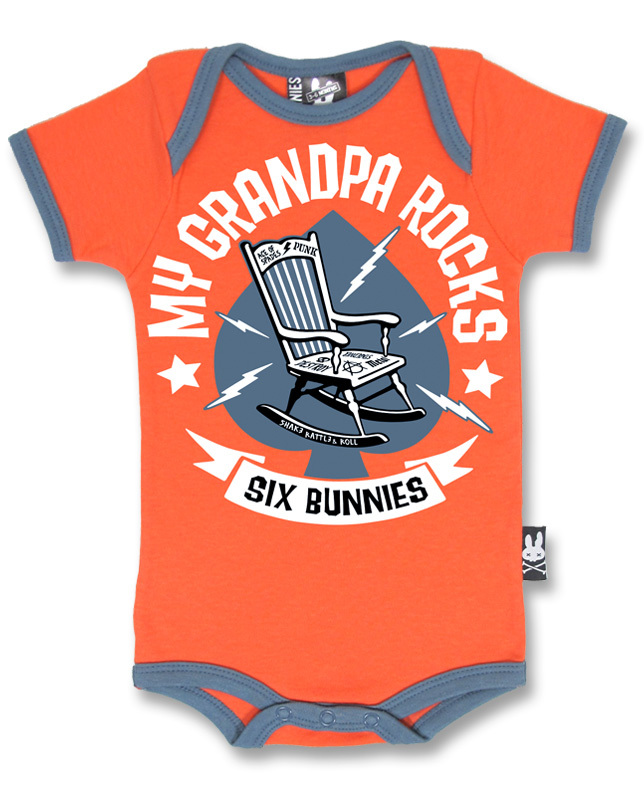 Just like the cool print on this onesie says, your baby will be lucky to have it. 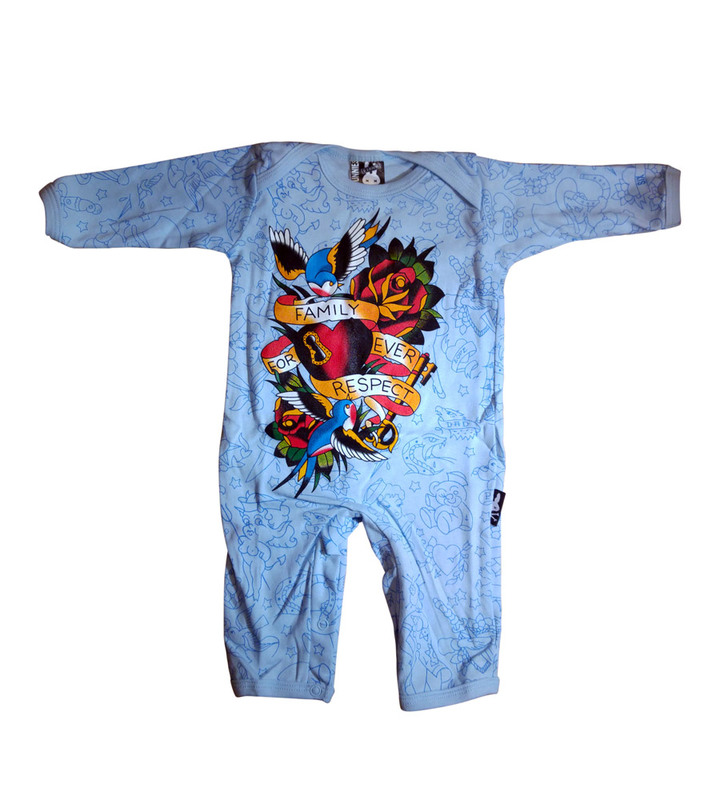 Horse shoe brings the gratis good fortune, since it is in rocking color combination of red, black and white. 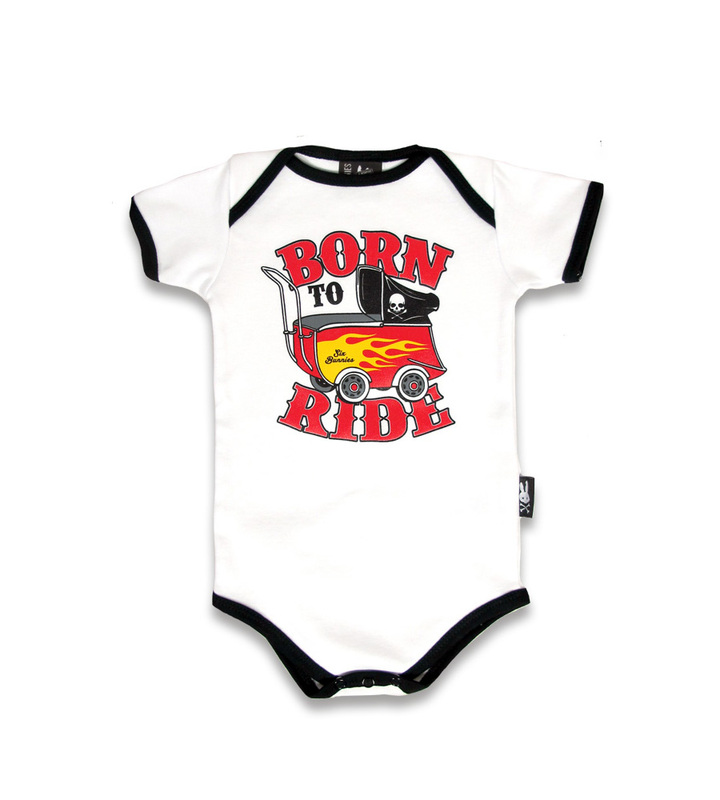 In this short sleeved piece your child will be an adorable rockabilly model!